After stocking the pantry with a season’s worth of crushed and sauced tomatoes, we wondered about roasting as a way of preparing them for canning. We’ve roasted smaller tomatoes to freeze but, with the freezer near to capacity, we needed another way to preserve them. As it turns out, this method also frees up some much needed stovetop space. Above: San Marzano tomatoes from Meadow’s Mirth and Juliet tomatoes from Stout Oak Farm, ready for roasting. The directions simply call for halving the tomatoes, placing them face-down on a pan, then roasting in a 450°F oven for 30 minutes. At this point it’s just a matter of plucking off the loosened skins, and the tomatoes are ready to be jarred. We chose to core the tomatoes before roasting, which makes peeling them an easier affair. 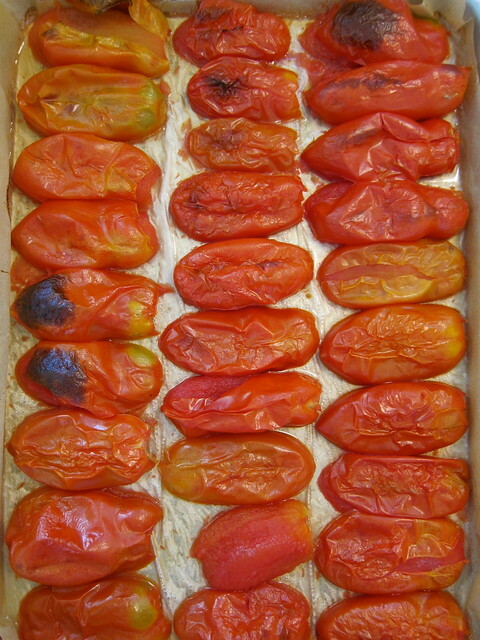 Here we used sheet pans, and lined them with parchment paper to protect the tomatoes from reacting with the aluminum. After several batches, we lessened the roasting time to 20 minutes, which was long enough for the skins to split. Timing is based on processing whole or halved tomatoes, packed raw and without added liquid. 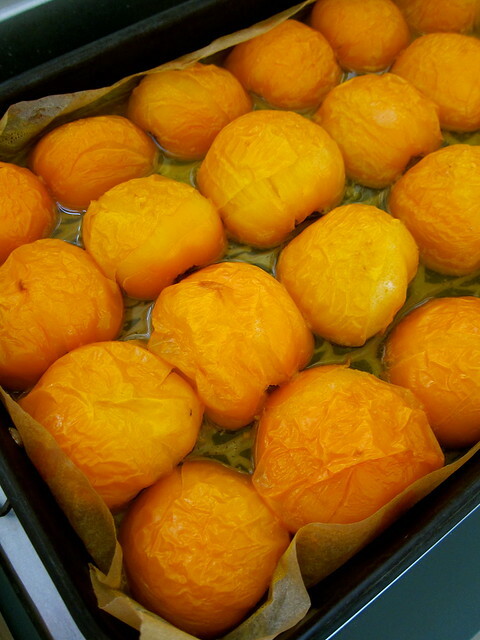 The roasted tomatoes give a much denser pack, and require a longer processing time, 85 minutes for boiling water bath. 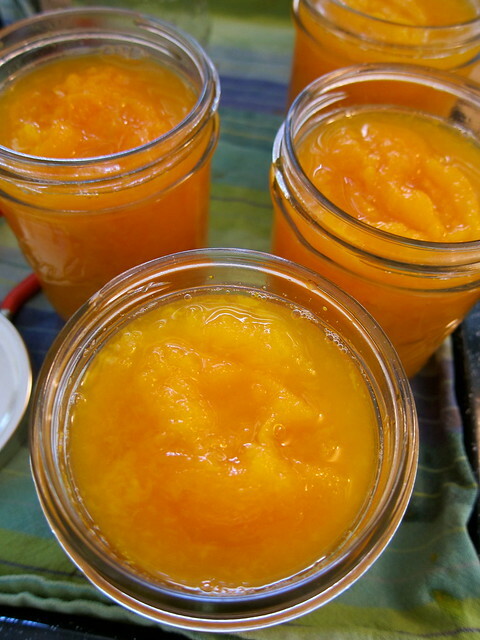 Here’s where knowing how to use a pressure canner comes in handy, an option that cuts the processing time to 25 minutes at 10psi. 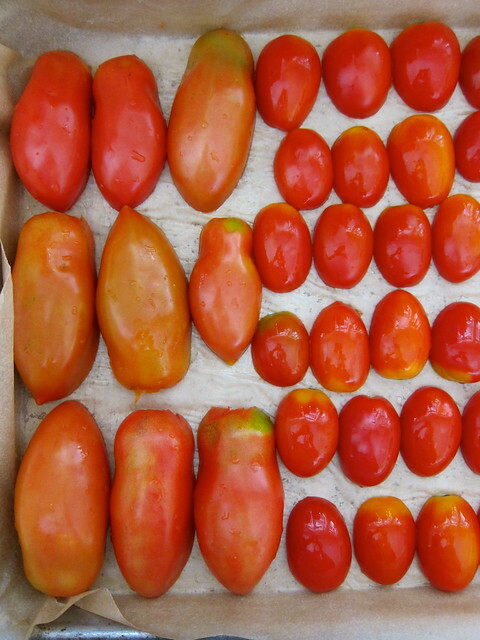 Above: The San Marzano tomatoes were packed after peeling, while the smaller Juliets were left with their peels on. While at the farmers’ market, these Orange Blossom tomatoes from New Roots Farm were too beautiful to pass up. This time, we made sure to use a roasting pan with higher sides to contain the larger amount of juices and prevent any spillage. Again, we peeled them before packing, and processed the batch in a pressure canner. 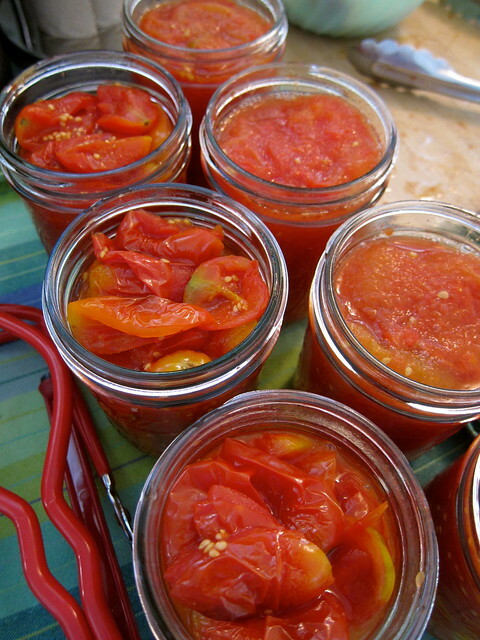 We like this method for its ease, and the way it concentrates the flavor of the tomatoes — nothing but pure sunshine packed in a jar. Local ingredients: San Marzano paste tomatoes from Meadow’s Mirth; Juliet tomatoes from Stout Oak Farm; and Orange Blossom tomatoes from New Roots Farm. 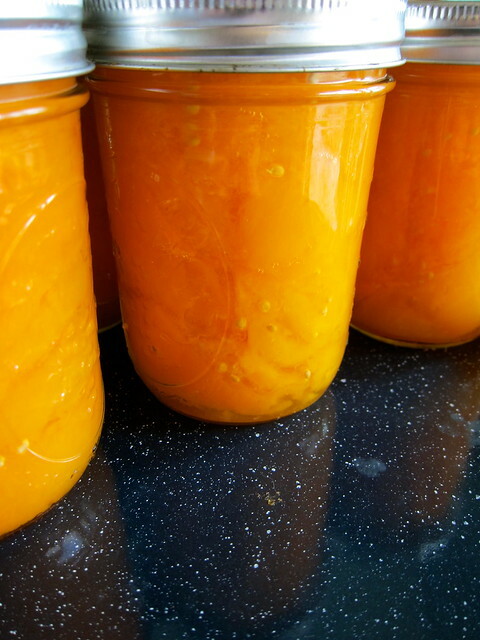 This entry was posted in cooking, preserving, tomatoes / pomodorini and tagged canning, mastering food preservation, tomatoes. Bookmark the permalink.